1. Capacity- Width-1250mm x Thick-3mm. 2. Roller Size- 1200mm(L) x 90mm Dia. We also deal with Sheet Straightener and Feeder. Due to our years of expertise in this realm, we are readily affianced in presenting an exceptional quality of Sheet Straightening Machine. In order to fulfill the ever-evolving demands of our esteemed clients, we are engaged in providing an optimum quality array of Sheet Straightening Machine. - Our client can avail this machine in various dimensions and sizes. We manufacture a wide range of Oil Drum Sheet Straightening Machine by using high grade raw material as per the client’s requirements. Our range is highly durable and is available at the market leading prices. Our range of straightening machine is very beneficial to industries in their manufacturing processes. 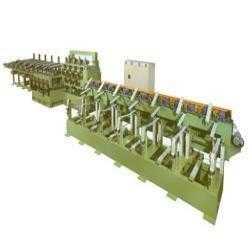 Being a reckoned name, we are engaged in fabrication of Sheet Straightening Machine. These machines are manufactured using premium quality components and are offered with the assurance of optimum performance. 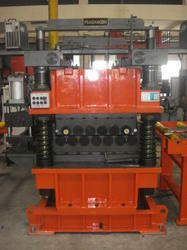 Available in various specifications, these machines are used to cater to the diversified industrial needs. The Straightening Machines offered by us are manufactured out of steel fabricated structure and have level of endurance and tensile strength. The gears are forged using tested, high strength steel.